﻿ Property Managers, Who Has Access to Your Tenants' Keys? Property Managers, Who Has Access to Your Tenants' Keys? There's a couple of incidents that can tarnish your property management company's reputation; an array of violent break-ins in apartment buildings or an assailant getting access of the building's own keys & just casually walking into homes of your residents. A couple months ago, residents living in an upscale apartment complex in Boston reported at least five break-ins. This wasn't your typical type of break-in instead the strangest part to this occurrence was that there were no actual sign of forced entry. It was evident to the Boston police that the thief had access to a set of the apartment's keys. Residents were baffled as to how anyone can have access to these "supposed" secure keys, and questioned the safety of the building. Between the damaged reputation and cost of re-keying every apartment, losing control of keys is an expensive slip-up. Property management firms using Key Control Systems say they are finding increased convenience for their residents and enhanced security for the properties. High tech key cabinets automatically record the access history of each key, including user, date and time of key access/return. 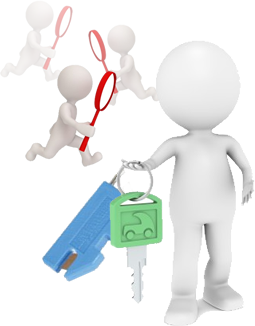 The system releases assigned keys only to users with the proper authorization and cannot be manipulated or easily tampered with. By controlling access to the keys and knowing when they were accessed and by whom, building management – and ultimately the residents — is provided with an additional level of security. Today's flexible key control systems can be readily implemented in buildings of every size and nature to offer an easy way to increase security and control.